Following is the link to my first typo3 extension. 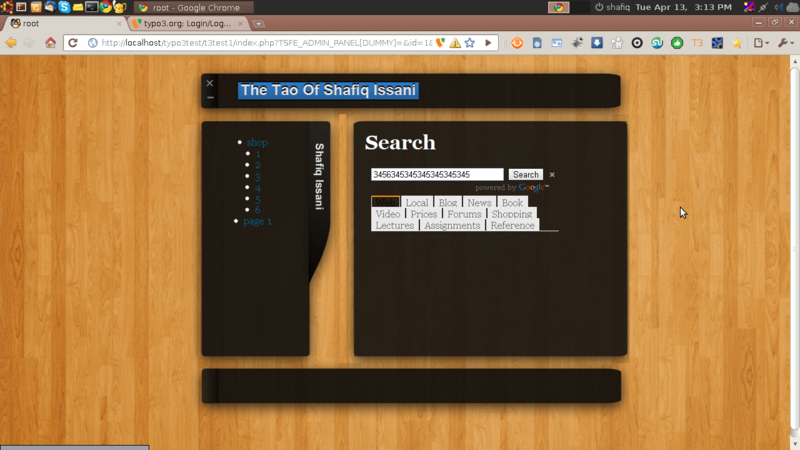 It’s a front end plugin used to display a modified google search engine. The search engine is ajax based and has tabs feature. There is absolutely no page loading.